Penguin 2.0 launched on Wednesday, May 22nd, and it’s an update that most SEOs have been eagerly awaiting. Leading up to the rollout, all signs pointed to a nasty algorithm update that was going to be bigger and badder than the Penguin 1.0. There was a lot of speculation about how aggressive it would be, what it would target, and how much impact it would have across the web. Well, now that it rolled out, was it as nasty as many thought it would be? Did it target more types of webspam? And if you are hit, how can you recover? I’ll try and answer some of these questions below, based on analyzing thirteen sites hit by Penguin 2.0. In addition to the official Penguin 2.0 update, there was a Phantom Update on May 8th, which could have been Penguin 2.0 being tested in the wild. I wrote a post explaining my findings, based on analyzing four (now seven) sites hit by that update. It’s important to read that post as well as this one, so you can start to understand the various factors that led to a drop in rankings and traffic for sites hit on that day. Since Penguin 2.0 launched, I took the same approach that I took with Penguin 1.0. I’ve been heavily analyzing sites hit by our new, black and white friend. I’ve been monitoring webmaster forums, receiving emails from P2.0 victims, and digging into each site. My goal has been to identify consistent factors that impacted sites hit by the latest algorithm update. 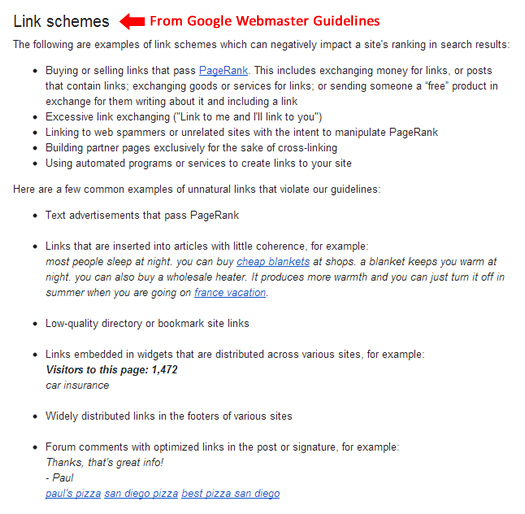 I have also been looking for any new additions that Penguin 2.0 might be targeting webspam-wise. As of today, I have analyzed thirteen sites hit by Penguin 2.0 (I know, unlucky number). That includes drilling into their link profiles, reviewing their content, and deciphering what led to the Penguin hit. This post details my initial findings. As I explained earlier, we heard that Penguin 2.0 was going to be bigger and nastier than 1.0, but nobody knew exactly what that meant. Personally, I thought it could mean that more webspam tactics could be targeted, versus just spammy inbound links. In case you aren’t that familiar with Penguin 1.0, it heavily targeted unnatural links. If you had a spammy link profile, then you were susceptible to getting pecked. And a peck could mean a significant drop in Google organic search traffic (sometimes by over 90% overnight). So, did Penguin 2.0 target additional forms of webspam? Not in my opinion. Again, I’ve analyzed thirteen sites hit by P2.0 and all of them had serious link profile issues. Some had more balanced link profiles than sites hit by Penguin 1.0, but you could easily see the gaming of links from a mile away. The heavy use of exact match anchor text stood out like a sore thumb. 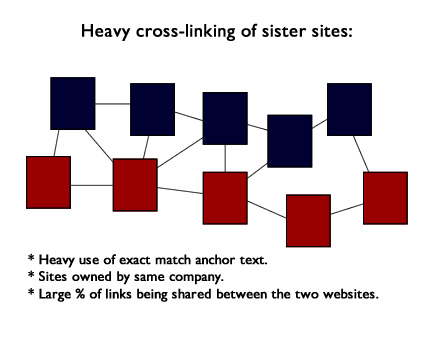 And some of the sites I analyzed had hundreds of thousands of links using exact match anchor text from questionable sites. More about those links and websites later in this post. The one important point to note is the “deeper” reference earlier. During Twig on 5/22, Matt Cutts announced the release of Penguin 2.0. During that interview, he explained that Penguin 1.0 only analyzed your homepage links and not pages deeper on your website. To clarify that point, your domain could still be hit, but Penguin 1.0 only analyzed the homepage link profile to identify the gaming of links. Looking back, I can see why they launched the first version of Penguin this way. 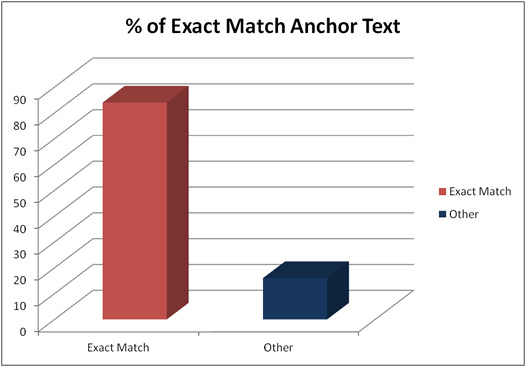 There were many low quality sites using exact match anchor text leading to their homepages (in an attempt to rank for those keywords). That’s a good way to launch the first version of Penguin and see how it impacted sites across the web. But Matt also explained that Penguin 2.0 now analyzed deeper pages on the site. And that line made a lot of sense to me… I had some companies reaching out to me after Penguin 1.0 launched complaining that their competitors were using the same tactics they were. They wanted to know why those companies weren’t getting hit! Now that we know Penguin 1.0 heavily analyzed the homepage, and didn’t take deeper pages into account, we understand that could be the factor that saved those companies (at least for the time being). Now that P2.0 is out, those companies using spammy links pointing to deeper pages very well could have gotten hit. Am I Seeing The “Deeper Pages” Factor? I am absolutely seeing websites using exact match anchor text leading to a number of pages on their sites (versus just the homepage). Actually, every one of the thirteen sites I analyzed had this issue. So Matt might be telling us the truth when he explained that Penguin 2.0 is deeper. But again, it’s not broader (taking other webspam tactics into account). 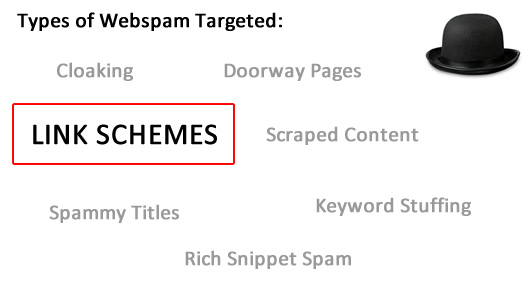 To quickly recap, I have not seen any sign that additional types of webspam were targeted by Penguin 2.0. It’s still extremely link-based. I have also seen sites with unnatural links pointing to deeper pages on the site get hit by Penguin 2.0. 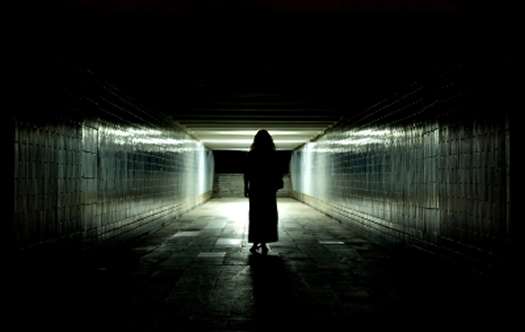 During major algorithm updates, there are always webmasters that claim they were unfairly hit. That’s definitely the case sometimes, but I can tell you that I have not seen any collateral damage from Penguin 2.0 first-hand. All of the sites I have analyzed clearly had unnatural link issues. And some had extreme unnatural link issues that are going to take a lot of work to rectify… And yes, I can hear the frustration in the voices of the business owners calling me. Some have a long and tough road ahead of them if they want to recover. 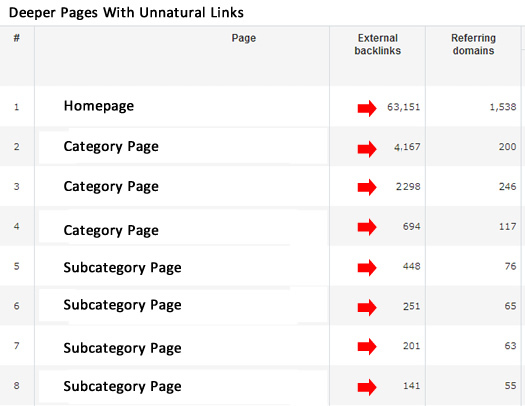 When analyzing unnatural links of sites hit by Penguin 2.0, did the types of unnatural links change at all? Not from what I can see. I saw many familiar link types, including comment spam, article sites, spammy directories, blogroll links, link networks (public and private), etc. Basically, the same types of link manipulation are being targeted by Penguin 2.0 as were targeted by Penguin 1.0 (based on my analysis). And similar to what I saw with Penguin 1.0, risky sites continually showed up in link profiles. For example, attack sites, sites hit by malware, etc. I’m not saying that getting hit by malware, or sites that are hacked, get targeted by Penguin 2.0, but a long-term issue without fixing problems like that is a clear signal about the quality of the site. Think about it, most webmasters hit by malware, or that are being flagged as an attack site, would fix those problems asap. They wouldn’t let it sit for weeks or months. I noticed the same situation when analyzing sites hit by Penguin 1.0. Similar to Penguin 1.0, you need to heavily analyze your link profile to identify unnatural links. You should organize them by quality and start to create a master list of links to nuke. And by “nuke”, I don’t mean you should simply disavow all of the unnatural links. Google wants to know that you tried as hard as possible to manually remove them. That means setting up a communication plan to webmasters in control of sites that contain spammy links leading to your website. No, that process isn’t easy, and you can expect a lot of interesting messages back (with some people trying to charge you for link removal). You can also 404 pages receiving spammy links, but that obviously guts the content on your site. That’s not the best approach for all situations. Once you work hard to remove as many links as possible, you can absolutely use the disavow tool for the remaining links. But again, that shouldn’t be used for the majority of links… Once you take care of the link situation, you’ll need to wait for another Penguin update in order to see positive movement. Then again, I have seen Penguin updates during Panda updates (which makes me think they are connected somehow). You can read my Penguin recovery case studies to learn more about how my clients recovered from Penguin 1.0. That’s what I have for now. I’ll continue analyzing websites hit by Penguin 2.0 and will write follow-up posts covering additional findings. I’m already helping several clients with dealing with Penguin 2.0, and I anticipate helping more in the coming weeks and months. If you have any questions, feel free to post them in the comments. Good luck. If you’ve read some of my blog posts in the past, then you know I perform a lot of SEO technical audits. As one of the checks during SEO audits, I always analyze a client’s robots.txt file to ensure it’s not blocking important directories or files. If you’re not familiar with robots.txt, it’s a text file that sits in the root directory of your website and should be used to inform the search engine bots which directories or files they should not crawl. 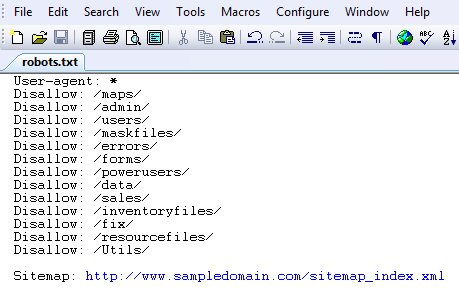 You can also add autodiscovery for your xml sitemaps (which is a smart directive to add to a robots.txt file). Anyway, I came across an interesting situation recently that I wanted to share. My hope is that this post can help some companies avoid a potentially serious SEO issue that was not readily apparent. Actually, the problem could not be detected by the naked eye. And when a problem impacts your robots.txt file, the bots won’t follow your instructions. And when the bots don’t follow instructions, they can potentially be unleashed into content that should never get crawled. Let’s explore this situation in greater detail. During my first check of the robots.txt file, everything looked fine. There were a number of directories being blocked for all search engines. Autodiscovery was added, which was great. All looked good. Then I checked Google Webmaster Tools to perform some manual checks on various files and directories (based on Google’s “Blocked URLs” functionality). Unfortunately, there were a number of errors showing within the analysis section. The first error message started with the User-agent line (the first line in the file). Googlebot was choking on that line for some reason, but it looked completely fine. And as you can guess, none of the directives listed in the file were being adhered to. 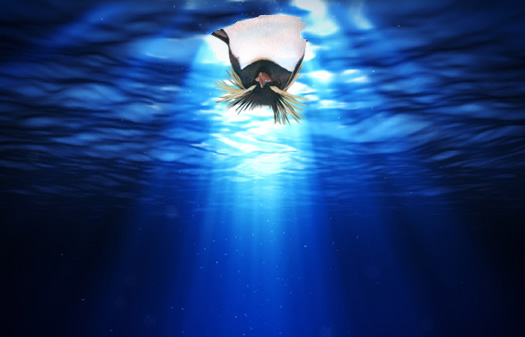 This meant that potentially thousands of files would be crawled that shouldn’t be crawled, and all because of a problem that was hiding below the surface… literally. So I started checking several robots.txt tools to see what they would return. Again, the file looked completely fine to me. The first few checks returned errors, but wouldn’t explain exactly what was wrong. And then I came across one that revealed more information. The tool revealed an extra character (hidden character) at the beginning of the robots.txt file. This hidden character was throwing off the format of the file, and the bots were choking on it. And based on the robots syntax being thrown off, the bots wouldn’t follow the instructions. Not good. I immediately sent this off to my client and their dev team tracked down the hidden character, and created a new robots.txt file. The new file was uploaded pretty quickly (within a few hours). And all checks are fine now. The bots are also adhering to the directives included in robots.txt. I think this simple example underscores the fact that there’s not a lot of room for error with technical SEO… it must be precise. In this case, one hidden character in a robots.txt file unleashed the bots on a lot of content that should never be crawled. Sure, there are other mechanisms to make sure content doesn’t get indexed, like the proper use of the meta robots tag, but that’s for another post. For my client, a robots.txt file was created, it looked completely fine, but one character was off (and it was hidden). And that one character forced the bots to choke on the file. I think one person at my client’s company summed up this situation perfectly when she said, “it seems you have little room for error, SEO seems so delicate”. Yes, she’s right (with technical SEO). Below, I’m going to list some simple things you can do to avoid this scenario. If you follow these steps, you could avoid faulty robots.txt files that seem accurate to the naked eye. Always use a text editor when creating your robots.txt file. Don’t use a word processing application like Microsoft Word. A text editor is meant to create raw text files, and it won’t throw extra characters into your file by accident. Make sure each directive does exactly what you think it will do. If you aren’t 100% sure you know, then ask for help. Don’t upload a robots.txt file that could potentially block a bunch of important content (or vice versa). Make sure the syntax of your robots.txt file is correct and that it’s blocking the directories and files you want it to. Note, Google Webmaster Tools enables you to copy and paste a new robots file into a form and test it out. I highly recommend you do this BEFORE uploading a new file to your site. 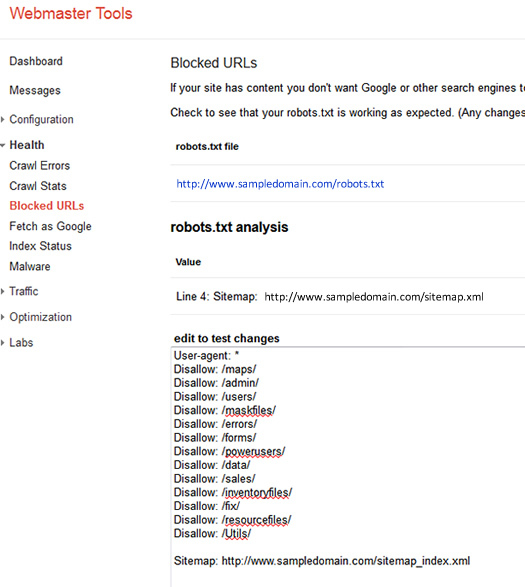 The blocked urls functionality will reveal problems associated with your robots.txt file under the “analysis” section. Remember, this is where I picked up the problem covered in this post. There you have it. One hidden character bombed a robots.txt file. The problem was hidden to the naked eye, but the bots were choking on it. And depending on your specific site, that one character could have led to thousands of pages getting crawled that shouldn’t be. I hope this post helped you understand that your robots.txt format and syntax are extremely important, that you should double and triple check your file, and that you can test and monitor that file over time. If the wrong file is uploaded to your website, bad things can happen. Avoid this scenario.